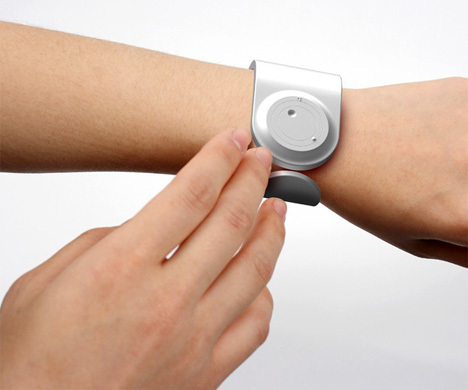 Like most other timepiece concepts geared toward blind people, the Rub Feel Know watch relies on some element of tactile sensation to keep users updated on the current time. But this slick-looking concept features an intriguing (and rather unexpected) element. The hour indicator on the watch face is a concave space: a small dip in the plastic that, when considered along with its position on the face, indicates the current hour. The minute indicator is a smaller convex dot, jutting out slightly from the watch’s face. A quick brush of the fingertips against the watch face tells the time with ease. 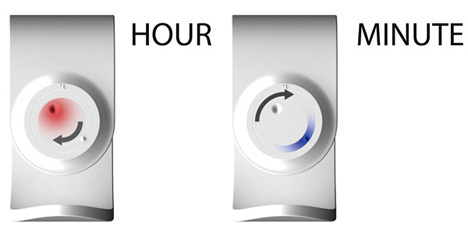 In case the dots are still too difficult to differentiate, the hour and minute “hands” feature different temperatures. 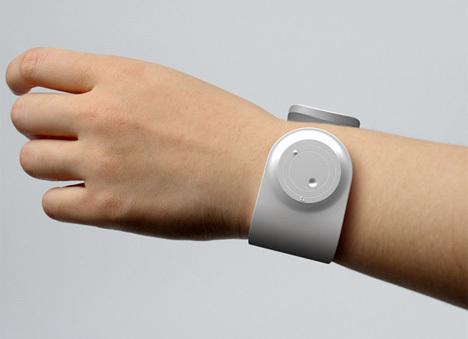 The hour “hand” is warm to the touch while the minute indicator is cool to the touch. We have a feeling that producing this watch in the real world would be a little more complicated and costly than it’s worth, but this elegant-looking concept is a very cool exploration of the nature of timepiece design. See more in Clocks & Watches or under Gadgets. September, 2011.